1) Large Chains – The most well-known places to get fit for golf clubs are at the large chain stores such as PGA Superstore, Dicks Sporting Goods, and Golf Galaxy. 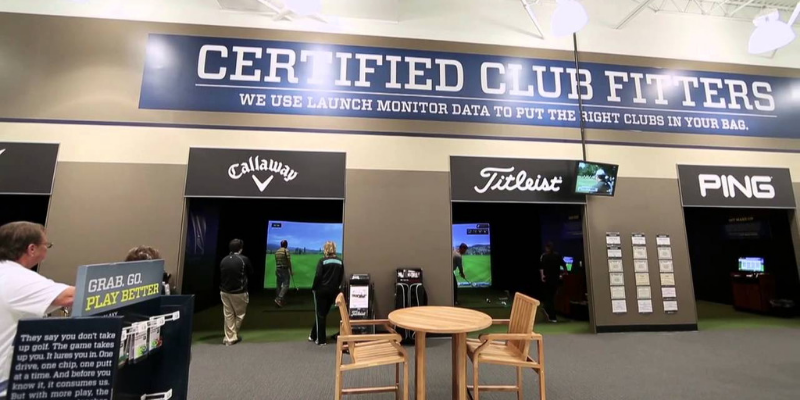 Although big box chains may be the most convenient place to get a club fitting sometimes golf manufacturers will pay the staff at these stores to be pushing certain brands and products over others. It is important if you get fit at a big box retailer to make sure to ask them why they are recommending one brand over another. If you pay for a club fitting at a big box store, they will credit the fitting fee if you end up buying clubs at the store. 2) Specialty club fitters – There are several specialty club fitting companies now who are primarily in the business of getting the right clubs for golfers. Companies like Club Champion, True Spec Golf and others are rapidly growing across the US in the specialty golf market. I’ve visited a Club Champion in the past and their facilities are impressive. The employees at companies like this are golf club geeks who are very knowledgeable about all brands and different types of clubs. Going to a specialty shop is probably the best place to get fit since they do not have a bias toward certain brands and want to get the right clubs for your swing. The bad news is that club fittings at these places are very expensive so prepare to spend. 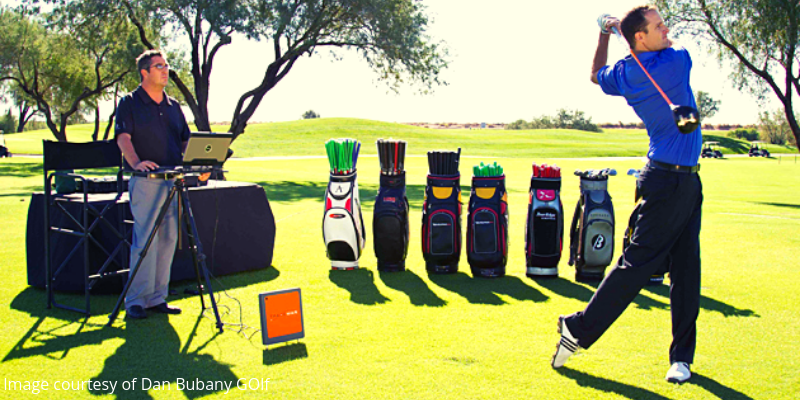 3) Manufacturer demo days – Many golf courses have what are called “demo days” which are days at a driving range when golf companies showcase their new products and let you try them out for free. Many golf companies have started doing club fitting as part of the demo days for free. Getting a club fitting for free sounds nice, but as a golf consumer, you need to make sure you are getting the right brand and clubs for your game. For example, even though you may be getting a free fitting for Titleist clubs at the driving range, Titleist clubs may not be the right brand and fit for your game. Here is a list of where to find a demo day if this option is appealing to you. 4) Local golf professionals – Many consumers like to “shop local” and you are doing just that if you get a club fitting from your local PGA or LPGA golf professional. Only some golf professionals are trained and educated in club fitting so make sure to ask your golf professional if they are certified and trained. One other piece of advice would be to check the best club fitters in your state rankings by golf digest. Like my comment above specific to large chains, many golf professionals are on staff with specific golf manufactures so may encourage you to check out a specific brand versus being brand agnostic. All golf professionals can order clubs from any brand, so it is important to try a few different brands versus just one specific company. 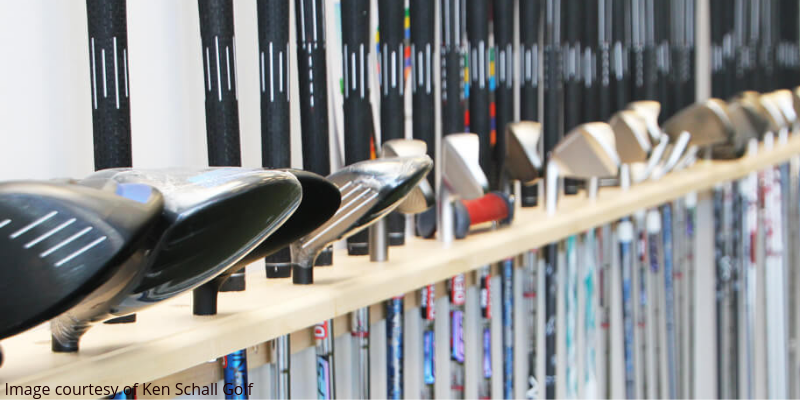 5) Visit a manufacturer’s headquarters – If you are one of those brand loyal golfers who already knows what type of clubs you are looking to buy, visiting a company’s HQ would be a cool experience especially for your favorite brand. I was fortunate to get a full fitting done at Srixon’s headquarters in Huntington Beach, CA a few years ago. It’s a cool experience! Make sure to block some time since it takes about 2-4 hours. Hope you enjoyed the article and can get fit to play better golf.